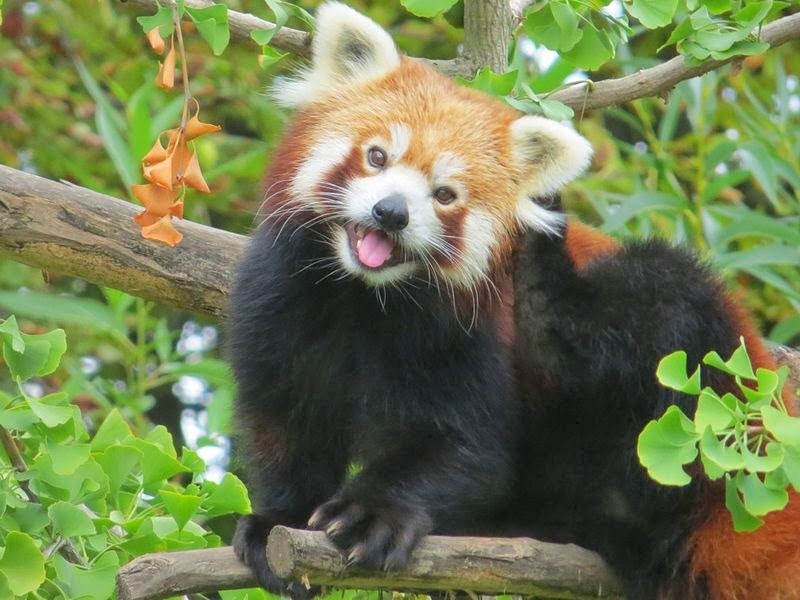 So, I decided to start the Strange Animals blog with a very cute, raccoon-resembling animal known as the Red Panda. Sure, it may not be the weirdest animal out there, but it's really adorable and one of my favorites. 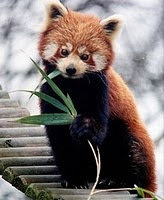 Red pandas are endemic to the temperate forests of the Himalayas, ranging from Nepal in the west, to China in the east. They can also be found in northern India, Bhutan and the northern Myanmar. 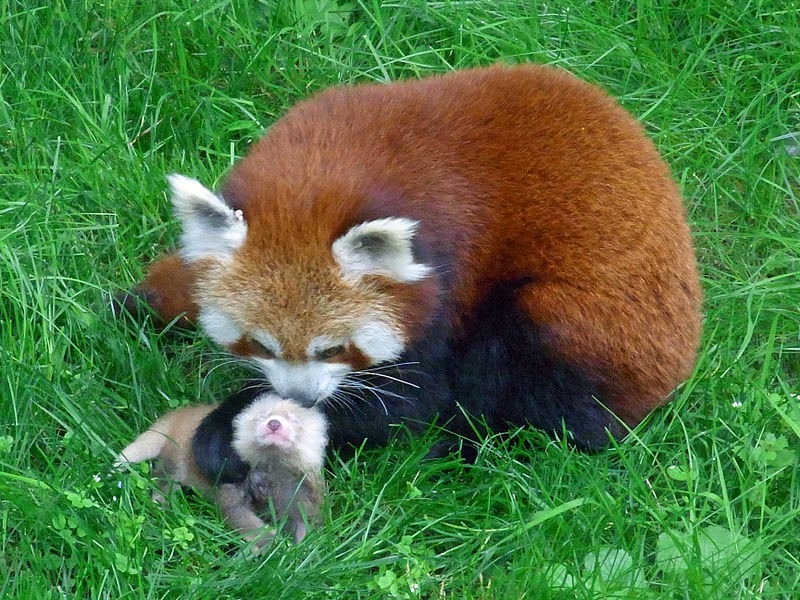 Their habitat rests in rainy high altitudes ranging from 1,500 to 4,800 m.
Video of a baby red panda at the Erie Zoo in PA. It's 3 months old and just learning to walk. The species' average length from head to body is 50 to 65 cm (20 to 26 inches), with an additional tail length of 30 to 50 cm (12 to 20 inches) and an average weight of 3 to 6 kg. Males weigh 3.7 to 6.2 kg whereas females weigh about 4.2 to 6.0 kg. The red panda is a small arboreal mammal and the only representative of the genus Ailurus. Despite its common name, the red panda isn't related to the giant panda and is way, way smaller and lighter compared to it. It has a reddish-brown fur, a long, shaggy tail, and a waddling gait due to its shorter front legs. Red pandas use their ringed tails as a blanket to protect themselves from the cold temperatures of the chilly mountain areas they live in. They have curved and sharp, semi-retractile claws which stand inward. These nails help them to grasp narrow tree branches, leaves and fruits. They also have a false thumb which is actually an extension of their wrist bone. The average red panda life span in the wild is around 8 years, however there have been reports of animals reaching 15 years of age. Generally, red pandas prefer to stay in elevations of 1500 to 4,800 m, with moderate temperatures between 10 and 25 °C (50 and 77 °F). They tend to inhabit mountainous and coniferous forests, especially ones covered with old trees and dense bamboo understory. Southwestern China in the Hengduan Mountains of Sichuan and Gongshan Mountains in Yunnan. In the 1970's, a small red panda population was found in Nepal's Dhorpatan Hunting Reserve. 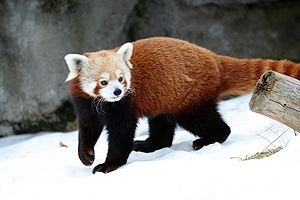 During the spring of 2007, the species' presence was reconfirmed, with the sighting of four red pandas at varying altitudes of 3,220 to 3,610 m (10,560 to 11,840 ft). Some red pandas were also sighted in the same region in 2008. It is believed that the population's west limit is located somewhere in Rara National Park which lays farther west of the Dhorpatan Hunting Reserve. Finally, a disjunct population also inhabits the Meghalaya Plateau of northeastern India. Styan's red panda (Ailurus fulgens styani) found in southern China and northern Myanmar. The diet of red pandas primarily consists of bamboo, but they are generally omnivorous animals, reported to consume eggs, birds, fish, insects, and other small mammals. Some other things these strange animals eat include mushrooms, berries lichen, roots, grasses and acorns. Red pandas are unable to digest cellulose and this why they consume large amounts of bamboo. In captivity, red pandas have been reported to eat birds, Acer and Morus leaves, blossoms, bark and the fruits of Acer. In general, their diet consists of about two-thirds bamboo and one-third covered using any of the sources described above. They are solitary animals (except when mating), mainly active from dusk to dawn, and are largely sedentary during the night. 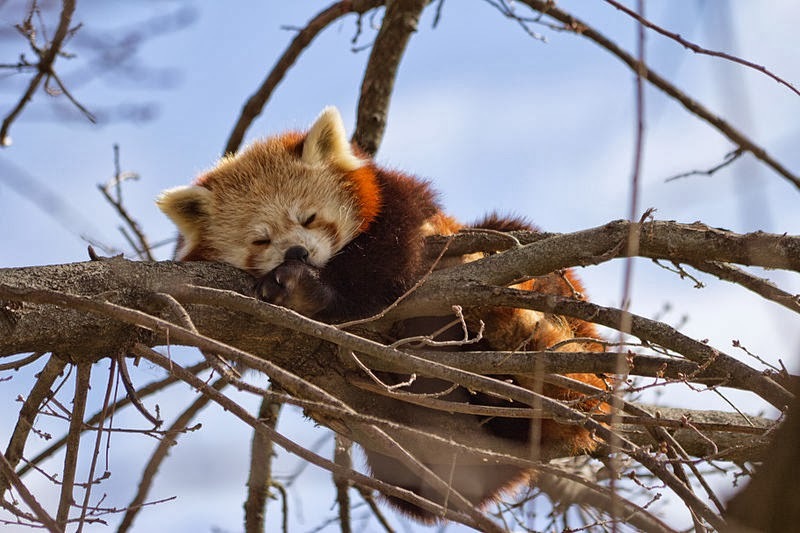 Red pandas spend most of their lives in trees and even sleep aloft. They sleep for the most part of the day, most probably because of their low-calorie diet. Red pandas reach sexual maturity when they are 18 months old, taking them almost 3 years before they have fully matured. Their mating season begins in the middle of January and ends in the first days of March. During this period, both males and females will mate with multiple partners. The gestation period lasts 110-150 days, thus birth occurs sometime during the middle of June up to the late days of July. Red Pandas Mating at Zoo Liberec, Czech Republic. Females give birth to one to four cubs. When born, these cubs are blind, deaf and have an average weight of 120 g (about 4,2 oz). During the first week, the mother spends about 80 % of her time with the cubs, cleaning and feeding them. After the first week, she spends less and less time with them, only to return once in a while for feeding and grooming. Most of the times, a mother will change her nest multiple times, for safety reasons. It takes about three months for the cubs to become fully covered with fur and this is when they start to explore the areas around their nest. It is also during the same period that they start eating other kinds of food, except their mother's milk, however it will take another 3-5 months before they are completely weaned. Cubs stay with their mother until her next birth, next summer. Males typically don't help with the raising of the children. This happens very rarely and only in small groups of red pandas. What are their main threats? Deforestation resulting in habitat loss or fragmentation. However, the importance and impact of each of the previous factors is different from area to area. For example, in China the main threat is hunting and poaching whereas in India the biggest threat is habitat loss. Today, these beautiful animals are listed as Vulnerable by the IUCN, with their estimated population comprised of 16,000 to 20,000 adult individuals, although some pessimistic estimations account for only 2.500 adult individuals. Although they are protected by national laws, red panda numbers continue to decline due to the aforementioned threats. It should be noted that red pandas have already become extinct in 4 out of the 7 Chinese provinces that they previously inhabited. In China there are 35 protected areas that cover almost 43% of its natural habitat. Bhutan has arranged 5 protected areas for supporting the surviving populations. Finally, India has created 20 protected areas that have or may have red panda populations. These areas include Sikkim, Arunachal Pradesh, West Bengal, Namdapha National Park and the Singalila National Park. 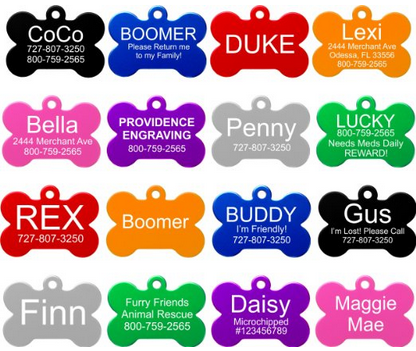 Furthermore, there is a coordinated conservation policy for the species. Red pandas adapt quite well under captivity. For example, by 1992, there were more than 300 reported births in captivity. Seeing one won't be difficult as there are plenty of red pandas in zoos and parks all over the world, including Europe, U.S.A, India, China and other regions. Just do a google search to see if a zoo nearby has them for exhibition. Despite being very cute and their small stature, there is currently no trend of adopting them as pets, which is of course a good thing! The Red Panda is listed in CITES Appendix I, which means that getting one as a pet is very difficult and in most countries, illegal. - Roberts, M. S.; Gittleman, J. L. (1984). "Ailurus fulgens". 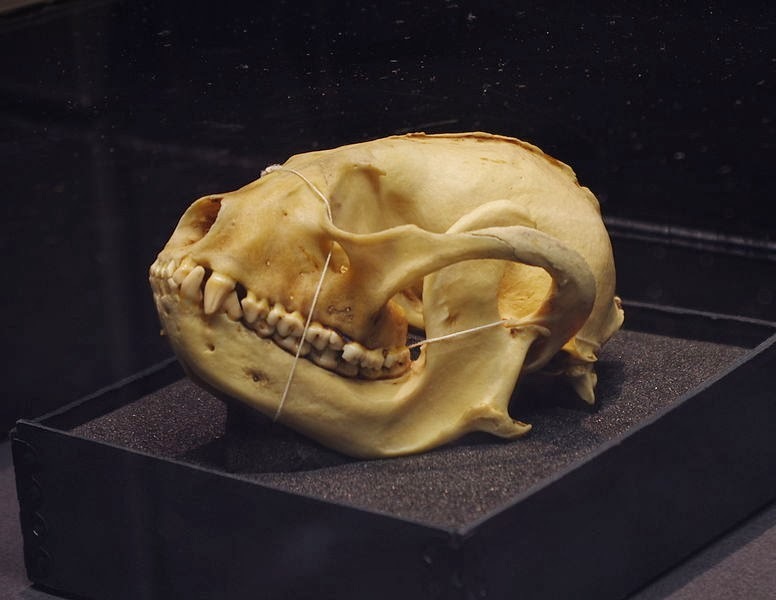 Mammalian Species (222): 1–8. - Glatston, Angela (2007a). Red Panda International Studbook -Ailurus fulgens fulgens held in zoos in 2006. Rotterdam Zoo. - IUCN/SSC Mustelid, Viverrid, and Procyonid Specialist Group (1994). A. R. Glatston, ed. The Red Panda, Olingos, Coatis, Raccoons, and Their Relatives. Gland, Switzerland: IUCN. ISBN 2-8317-0046-9.